In the age of Lean, why are health care providers telling their workers to shut up? 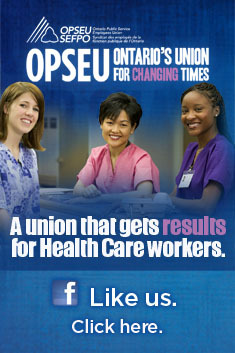 As a public sector union we are often left to speak for those who can’t. Members often face reprisals and discipline from their employer if they speak publicly about problems in public service delivery for which they have first-hand expert knowledge. When they feel they cannot speak out, we all lose as both funders and users of these services. Badly run organizations often go hand-in-hand with a culture of fear among employees. This was a lesson learned at Windsor’s Hotel Dieu hospital, where a dysfunctional staff culture led to major issues and incidents around quality of care for patients. Supervisor Ken Deane (now the CEO) specifically noted that among management there was a culture of “fear of reprisal for speaking up” at Windsor Hotel Dieu. Just imagine what it would be like to be a front line worker. The irony of such workplaces is not lost on us amid all the talk about empowering front line workers through such continuous quality improvement processes as Lean. It also calls into question the government’s commitment to transparency and accountability when front line staff are effectively gagged.